Earlier this year, the Prudential Regulation Authority (PRA) introduced more stringent criteria for buy-to-let investors seeking financial backing from standard lenders. The Prudential Regulation Authority, within the Bank of England, require companies within the financial services sector to have risk controls in place as well as sufficient capital. They monitor 1,500 banks, investment firms, insurers and more. 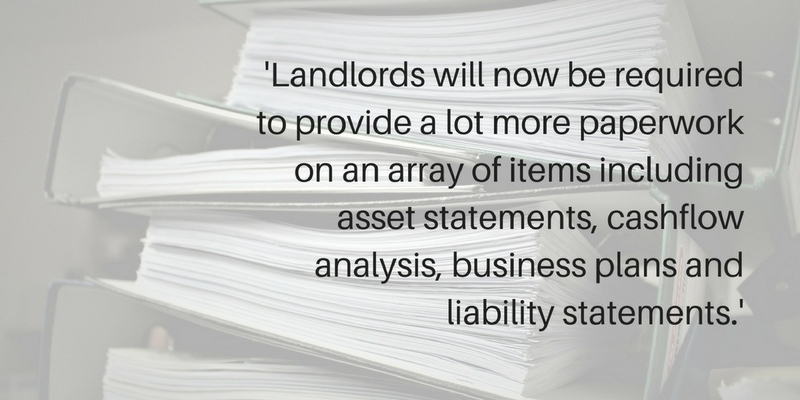 Landlords will now be required to provide a lot more paperwork on an array of items including asset statements, cashflow analysis, business plans and liability statements. The changes started to be implemented in January, many of which financial advisers have become accustomed to already. However, further alterations were made in October on the topic of portfolio underwriting, so if you are a landlord with more than three buy-to-let properties, you will have to be underwritten by lenders with specialist underwriting. This requires lenders to look at the property which is at the application stage but also beyond it, examining the client’s overall portfolio, so they can make a judgement based on that. According to Vishal Pandya, from the Society of Mortgage Professionals, “advisers are coping.” He believes that lenders need to adjust to these new rules and tweak policies, whilst advisers stay on top of all the changes. Advisers may find it useful to study up on their business model, and remain up to date with the market, giving advice appropriately. Another area which may be making things difficult for mainstream lenders is the state of their technology. These lenders have very traditional and somewhat archaic systems in place, but underwriters should consider looking over each case in more detail. Some online platforms are more advanced in their technology. As expected, some mainstream lenders have not been able to adapt to the technology revolution.